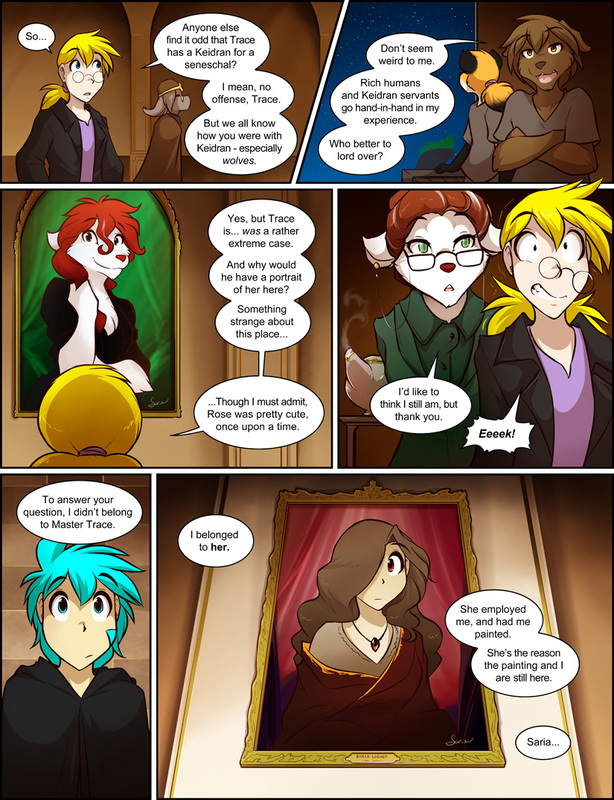 963: Paintings of the Past - Twokinds - 15 Years on the Net! 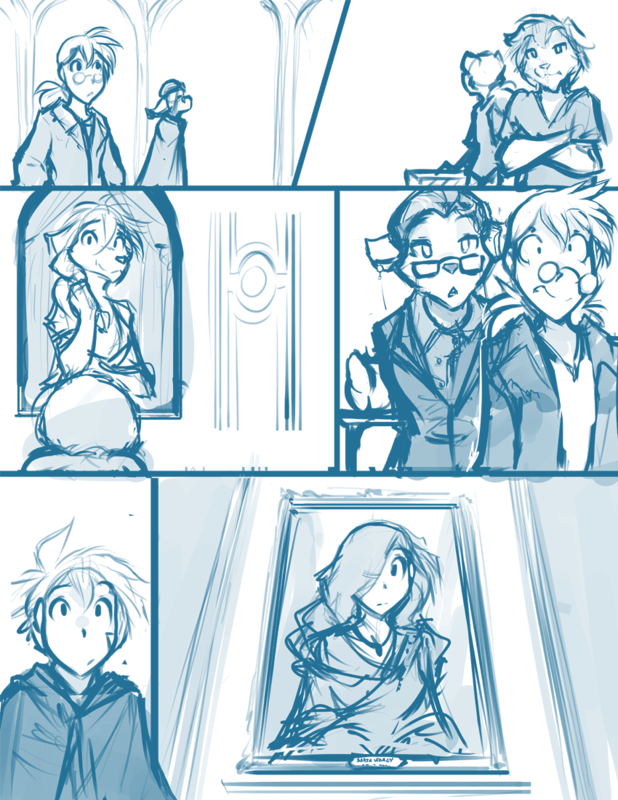 Eric: So… Anyone else find it odd that Trace has a Keidran for a seneschal? I mean, no offense, Trace. But we all know how you were with Keidran - especially wolves. Evals: Don’t seem weird to me. Rich humans and Keidran servants go hand-in-hand in my experience. Who better to lord over? Eric:…Though I must admit, Rose was pretty cute, once upon a time. Roselyn: I’d like ot think I still am, but thank you. Roselyn: To answer your question, I didn’t belong to Master Trace. Roselyn: I belonged to her. Roselyn: She employed me, and had me painted. She’s the reason the painting and I are still here. Page transcript provided by me!